Team building at Hands On Pottery is a unique and enjoyable way of encouraging people to work together as a group. As the nature of the workshops are hands on this provides a relaxed, encouraging and motivating environment for teams to collaborate and have fun! All workshops are run by experienced potters and enable teams to work together on a common theme or on individual pieces. Hands On Pottery is based in Sherwood in the centre of a busy shopping area, which offers a variety of local shops, bars or restaurant for all tastes. Then £20 per person if booking for more than 6 people. 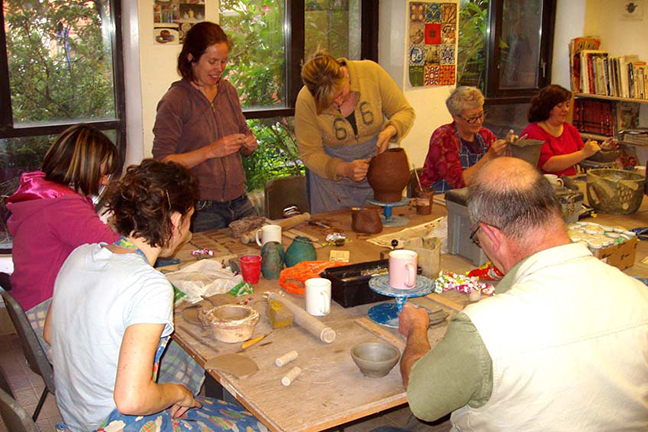 ​Discounts for 2 sessions per day which includes all tuition, materials and firing costs. Finished work is ready for collection in approximately 4 weeks.